United National Congress » Charles: How can we aspire to first world status under this clueless inept Rowley version of the PNM? According to the principles of ministerial responsibility in the Westminster system of governance which we have inherited “it is a constitutional convention that Cabinet Ministers bear the ultimate responsibility for the actions of their ministries”. The traditional example, according to an authority in the matter, in the UK of official ministerial responsibility was the Crichel Down affair in 1954 when the Minister of Agriculture resigned despite the fact that all mistakes were made by civil servants without his knowledge. We have in recent times been witness to an embarrassing episode at an OAS meeting in which our country was the only one among 35 Member States to object to a request by hurricane ravished Dominica for a waiver of fees for two years. Clearly Prime Minister Keith Rowley in his haste to absolve his friend Minister Moses at yesterday’s Post Cabinet meeting either chose to ignore, or more likely was totally unaware of this important principle of governance. How can we ever aspire to first world status under this clueless inept Keith Rowley version of the PNM? 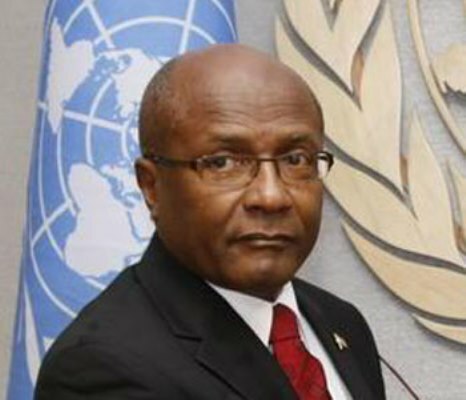 In absolving his friend Dr Rowley ignored established conventions by his predecessors including former Prime Ministers Kamla Persad Bissessar and Patrick Manning. Under these exemplary and highly principled Prime Ministers and in the best traditions of Westminster, Ministers demitted office while their names were cleared, or issues surrounding them resolved. Examples abound in this regard including former ministers Eric Williams, Franklyn Khan and a host of cabinet appointees during the 2010 to 2015 period. According to the Prime Minister, his friend Moses was unaware of the decision taken by Ambassador Phillips-Spencer at the OAS meeting. If that is correct, it merely confirms that Minister Moses is either clueless, has not put systems in place to ensure that he manages his Ministry as far as policy making is concerned, is a poor administrator, or worst that he is running a ministry in auto pilot mode. For that transgression alone, and notwithstanding the fact that he appears unable to provide strategic guidance, he cannot remain in charge of our foreign policy which is at its lowest ebb ever over the last 30 months. Another disturbing feature is the PM’s penchant for not recognizing that he is in charge. He cannot absolve himself by repeated assertions that he was not aware, or did not know, or was shocked when he heard about activities, like this OAS vote, taking place in his government. He is not an innocent bystander. He is the Prime Minister. It is becoming clear in a growing number of instances that this Rowley administration is prepared to place public servants under the bus, complete with non-disclosure agreements if it becomes necessary, to protect Cabinet colleagues. The UNC, having regard to all the circumstances, now advises all public servants and senior contract officials in government departments to think carefully when carrying out instructions from this political directorate especially if they appear inconsistent with the highest established ethical principles of governance. We also suggest to public servants that they observe carefully what is unfolding in respect of the interactions between this political directorate and themselves and understand clearly that this Prime Minister appears reticent to take decisive disciplinary action against any of his ministers. He chooses, when the chips are down, to conjure up a myriad excuses on their behalf. In a choice between public servants on the one hand and his political colleagues on the other it is the latter who will be given preference by this Prime Minister. Trinidad and Tobago cannot wait until 2020 when citizens will have a chance to tell Keith Rowley and this incompetent bunch of OJT cabinet ministers that “enough is enough”.